After coming across details regarding Boxee and the extended number of sources that it can pull videos from, I just had to give it a test drive. First of all, Boxee is a media player that is being developed for multiple platform use. It’s not restricted to videos and is able to stream music from Pandora as well as Last.fm. One of the first things that I noticed upon registering for Boxee (which is free) was that it is currently only available for Mac and Ubuntu. A Windows version is in development, however, it’s not currently possible to get an install of the alpha/beta Windows builds. After using my online best friend (Google) I was able to come across several guides for installing Boxee on Ubuntu 9.04 64-bit. Some of them were correct and some of them weren’t. Some of them were scattered and unorganized and…well…none of them were pathetically easy to follow. If you want to install Boxee on Ubuntu 32-bit, just follow the installation instructions provided after registering. If you’re installing in Ubuntu 64-bit (Jaunty Jackalope I might add) then please continue. Install “getlibs-all” by downloading it from here and double clicking to install or by copy/pasting the following terminal commands. (More details about getlibs here). Make sure that the bold part in the following command matches the file name from the above command (ignoring the jaunty and intrepid folder differences). After being patient and completing these (honestly) few steps, you should be able to launch Boxee from the application menu and start enjoying some Internet videos! For further reading or more detailed/technical instructions please see the source thread of this process. Also, for the record, Netflix Watch Instantly does not work in Boxee for Ubuntu as far as I can tell (due to the lack of DRM support). I hope I’ve been able to help in some way. 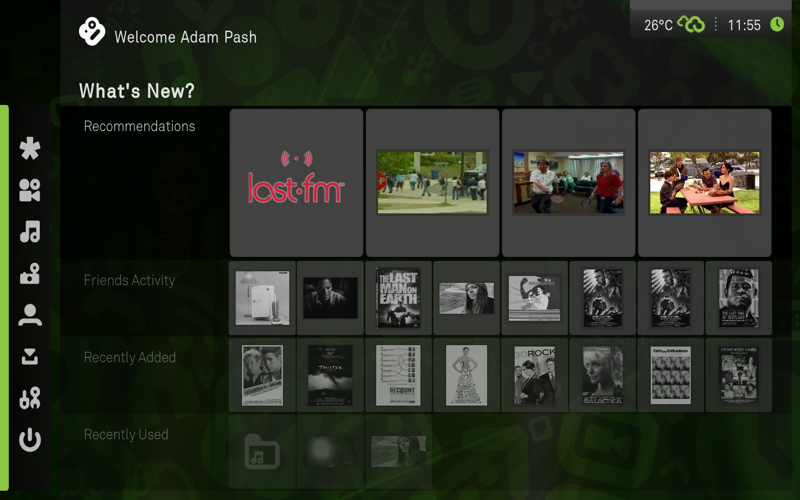 Best of luck with Boxee! Wow, great post! Exactly what I was looking for, thanks for sharing. One comment on step 5, My system failed using the -force-all command, and I had to run it with –force-architecture, which then installed. Thanks again! Ahhh my sistem failed using teh -force-all command, and the -force-architecture command. Please help. Try using the command in this form. Its all in the way you type or enter commands. Step 5 fails no matter which way I put it in from the blog or the comments. I even tried a copy/paste, but all cause an error. This application needs to be updated to make use of ldconfig. That is the standard on every Linux that I know of and a lot of Unixes as well. (1) Influence (politely, please) Boxee folks to support Jaunty and x64. (2) While waiting for an official upgrade, download the source and build a jaunty and/or x64 package yourself, allowing yourself to make use of the x64 libraries that are already installed. Ubuntu Jaunty does have installs for 64 bit systems. On the download page, if you scroll to the bottom it has Custom Options and you can select 64 bit system. ^_~ 32 bit doesn’t work well on 64 bit systems. I lost mouse use cause my laptop is also a touch screen when I installed 32 bit by mistake. That’s what you get for not labeling cd’s, heh! This post is discussing how to install the application “Boxee”, which is made for Ubuntu 32 bit on a 64 bit version instead. Not how to install Ubuntu 64 bit. If there were a 64-bit deb then this tutorial wouldn’t be necessary. The steps above should guide you through installing the regular 32-bit deb on a 64-bit setup. Until Boxee decided to release a 64-bit deb we will be forced to use this process. Something goes wrong at the end…And finally did’t work for me on a Linux Mint 7 64bit system. installed and successfully ran except for the boxee window flickers to the point of making me sick. even in full screen. anyone else have this problem?